As innovation is embedded in our DNA, we always seek to encourage forward-thinking projects and disrupting entrepreneurship initiatives. In 2018, we decided to partner with SiGMA Pitch, a project that strives to provide a platform for iGaming start-ups to flourish and scale and offer 30 hours of free consultancy to the winner of the competition. Ten start-ups battled out in front of a team of investors. 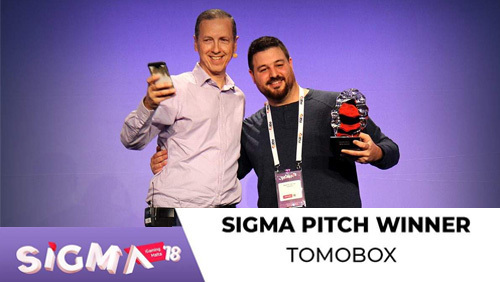 Tomobox won the competition with their initiative which is the first AI driven concierge, for online betting and casinos.